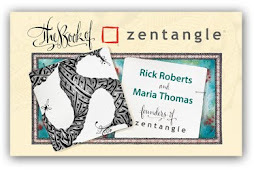 Zentangle: Is Mother Tangling Again? I think Mother Nature tangles. 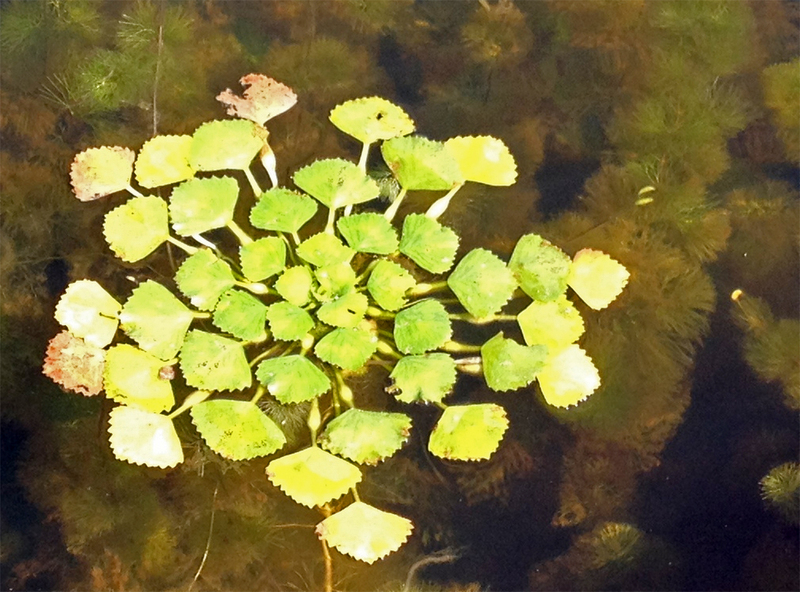 I was out paddling this morning on a nearby river and saw this plant on the surface. After paddling past it I turned around. It had reminded me of tripoli because each leaf was separated from the others much like triangles in tripoli. When I took a second pass paddling by, I could see all the stems of the outer leaves effectively "drawn behind" successively inner leaves and stems in hollibaugh fashion. With an obvious appearance of pokeroot's variant, pokeleaf, it was time for a third pass. This time I slowed, carefully kneeled down (I was stand-up paddling), fished out my phone for its camera, and took this picture. I was excited to get home and explore possible deconstructions! However, what I thought would be a simple task because of so many resonances with other tangles, quickly proved to be more difficult. All my efforts soon turned into drawing, not tangling. I realized that I was encountering one of my long-standing deconstruction puzzles, Fibonacci spirals. Fibonacci spirals are often seen in nature as spirals that go in different directions. Sometimes you will see them on a flat surface like the face of a sunflower whose seeds are arranged in those spirals. Sometimes you will see spirals formed on a round surface by facets of a pineapple or scales of a pine cone. In this plant, I realized its leaves were arranged that larger familiar pattern of counter-rotating spirals. Notice there are 5 blue spirals and 8 red spirals. A neat trick you can play when you find something with counter-rotating spirals is to count the spirals in one direction. It will probably be a Fibonacci number. Whatever Fibonacci number it may be, the number of spirals going the opposite direction will be the Fibonacci number next to that first number—either the next higher, or the next lower. However, I still haven't figured out how to deconstruct this pattern so it can be drawn as a tangle. "Drawn as a tangle" means that you repeat a series of elemental strokes in a certain structured way so you inevitably end up with a particular pattern without needing to know what the pattern you are creating is supposed to look like. Usually the number of elemental strokes needed are 3 or less. Often, you only need one or two. By "elemental strokes" we mean a dot, a straight(-ish) line, a curve (like a parenthesis), a reverse curve (like an "S"), and an orb or circle. This is a challenge I've been working on for some time. We invite you to join in figuring out its deconstruction. Let us know what you find. Either post a link below, or email it to us. If you are interested in learning more about Fibonacci numbers and their (phi) proportions, this web site is a great starting point. Fascinating, there is so much to learn about the intricate mix of Mother Nature, art and mathematics. Great post! I love that so many of your words can be used in a class to help students 'feel' the Zentangle method of learning. Especially noted is the sentence: " 'Drawn as a tangle' means that you repeat a series of elemental strokes in a certain structured way so you inevitably end up with......., etc. This explanation says so much. It's an "ah-ha!" moment for me.... words that I can use to more clearly define the Zentangle process. I love this stuff. Love Zentangle. Take a look at Vihart's youtube channel for more information on nature's wonderful spiral patterns! you might find this interesting. I am also fascinated with fibonacci spirals, and have been unable to deconstruct them except by accident. I hope the link doesn't throw something off. It is an interesting and easy to understand explanation, with a successfully executed fibonacci pinecone by the narrator. I wasn't able to do it, but maybe someone else will be.